There are so many small tiny moments in life that could bring instant happiness in just a second. One of those teeny weeny moments in my life is to find a brown box sitting at my door and waiting for me after a long day of work. I dont care what is in there, how big or small it is, its just the feeling of grabbing that box and acting like a small kid opening his or her present on the special days. While I was on break, I was greeted by one of those box moments. 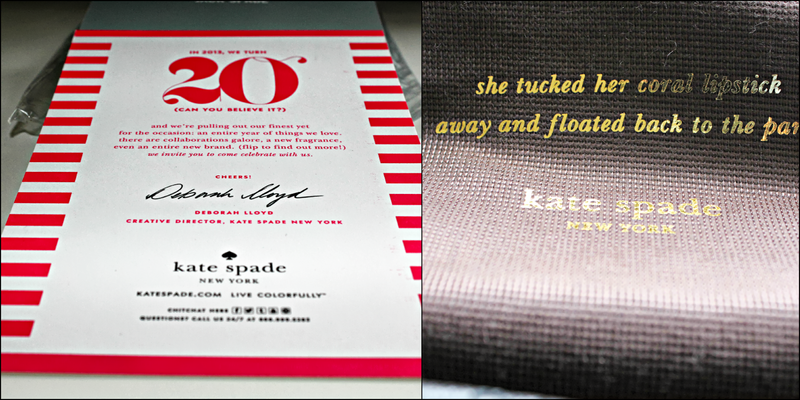 To say I am Love Kate Spade products would be understatement. 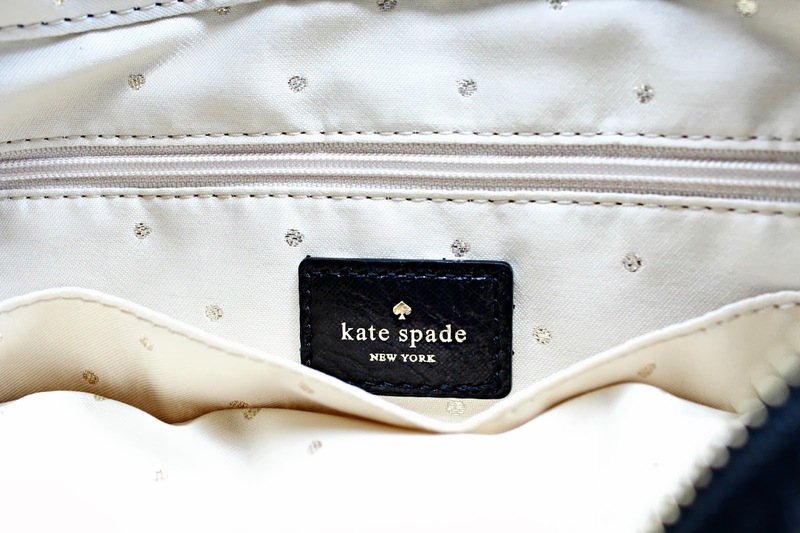 Whenever I need something in terms of long investment, Kate Spade is the first place I always go for. Everything out there is so good, fun, young without compromising the good quality. Have a look at the beauties I am currently loving. 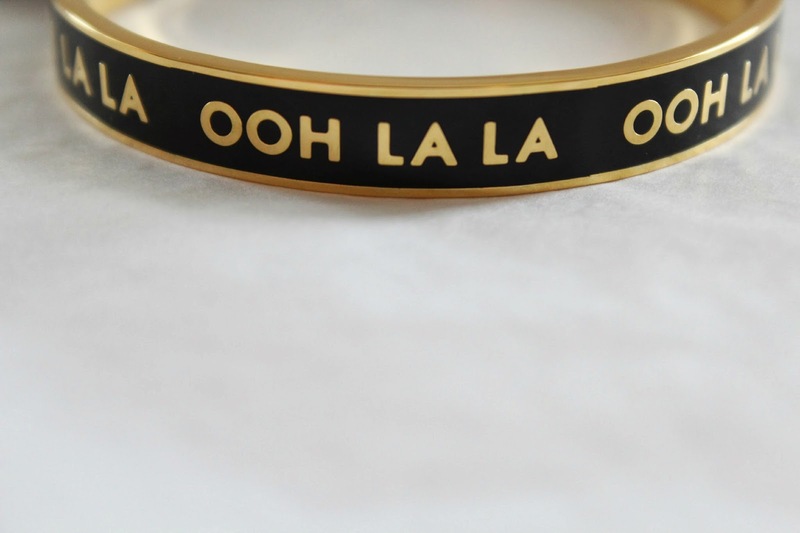 I was eying Kate Spade "Ohh La Laa" bracelet since long time but neither it was not available online nor the store was in my reach. While I was on break, it came online and I wasted no time in bringing this beautiful piece. 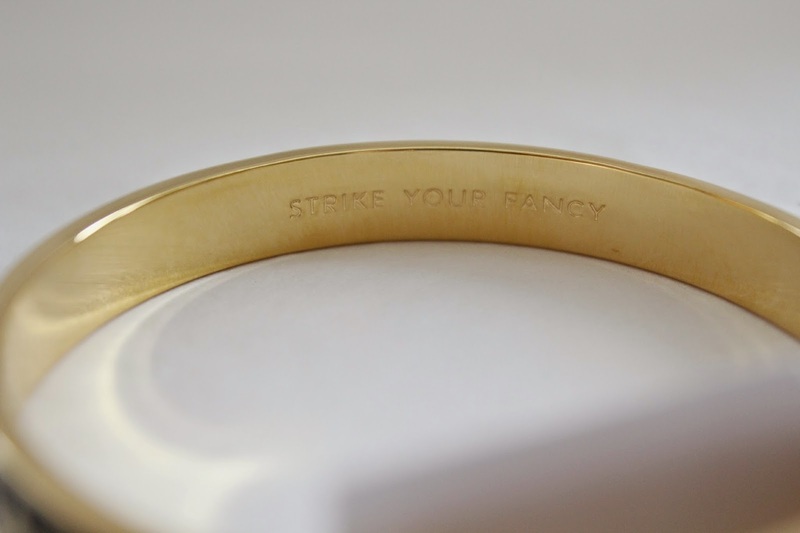 It looks more good in person with rich gold tone and high quality. Although its little big for my wrist but something that can fixed with the help of some another arm candy. I was little disappointed when the bracelet came packed in bubble wrap with standard Kate Spade brown dust bag in place of Kate Spade blue round bracelet box as shown online. Still I am in total love with this beauty and cant wait to wear it soon. 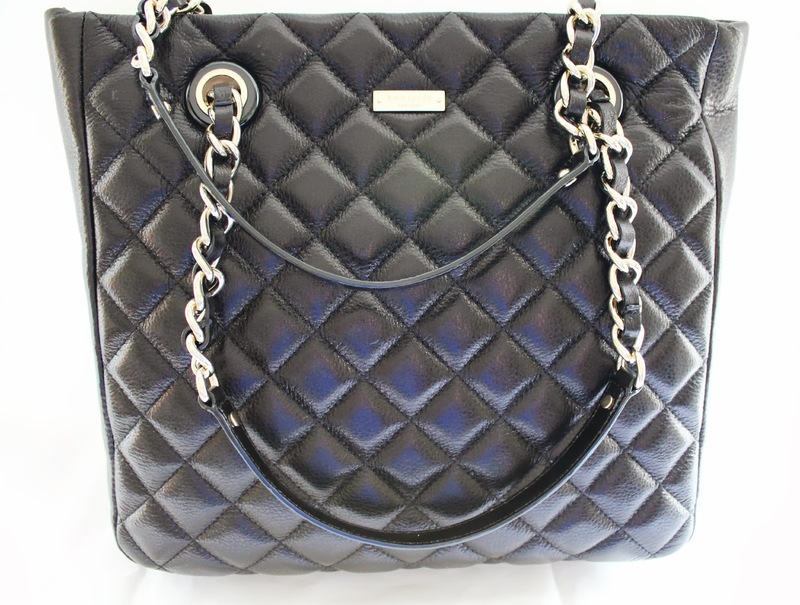 I was looking for a chic yet sophisticated handbag for my work since quite long. I have handbags in all color except black and couldn't find something till now that pleased me. 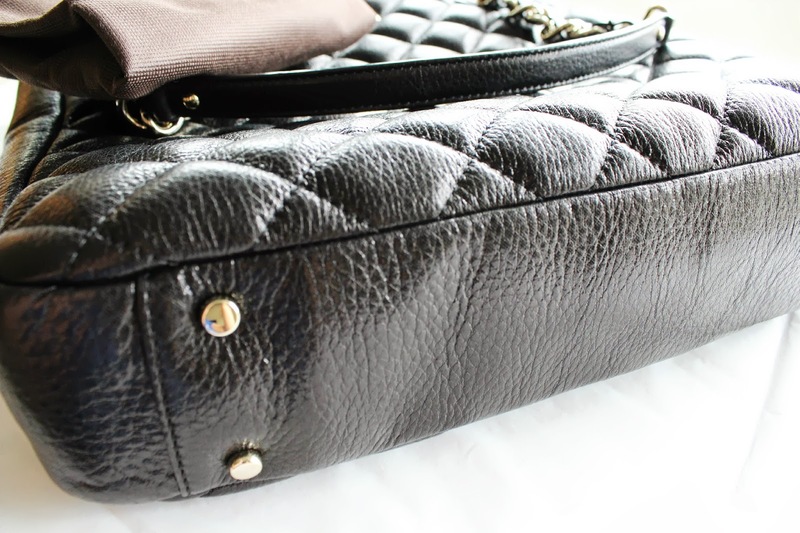 I love the quilted Chanel handbags but couldn't ever justify the need versus the price tag with which it comes with. 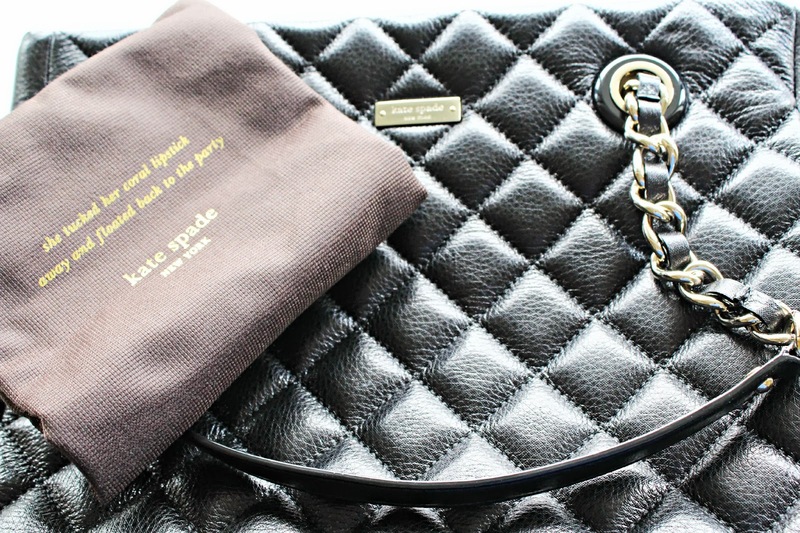 So when I saw the Kate Spade Gold Coast Sierra handbag, I knew this was the one I was looking for. This is an absolute classic piece that I will cherish for long. An absolute favorite. 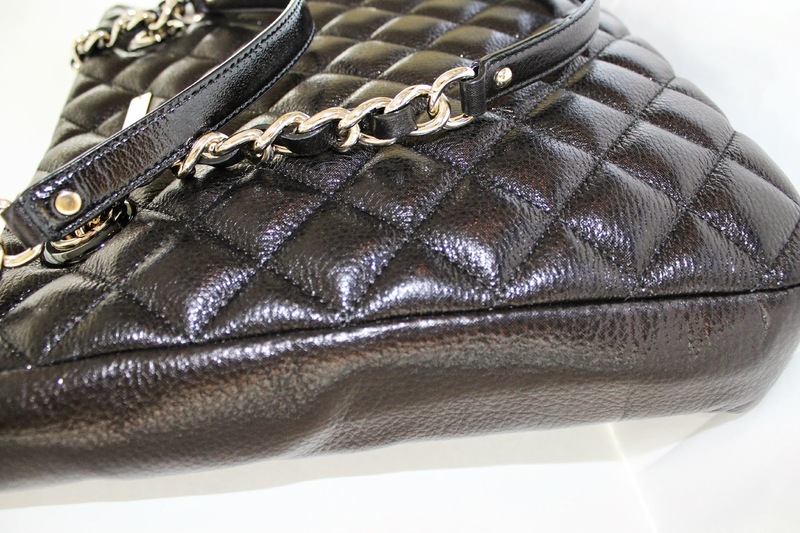 It is an diamond quilted~crinkled soft leather with little bit of shine. The beauty of the handbag is its 14-karat gold-plated handles that gives it a rich feel. With most of the totes, I have seen that the handles are stitched to the edges which often looks pulled out while due to overload. However this is not the case with this handbag, I can easily fit in my IPad, notebook, bottle, wallet, folder etc and yet it looks sturdy without loosing the shape. It is lined with beautiful golden metallic polka dot jacquard lining and has interior zip, wall and cell phone pockets. And the best part for last is the top zip closure and protective metal feet. I absolutely hate to put my handbag on floor while out and this feature fits the bill.